Aiming to provide a blueprint for aligning business process with business objectives, this book covers practical methods, real-life case studies and commercial software tools relating to process re-engineering. Now that most business, industrial, and government systems are software-driven, nobody changes an established process without first pinpointing how it works and what it's supposed to do for whom. This kind of technical reengineering is a very hot topic but the literature is still largely theoretical. 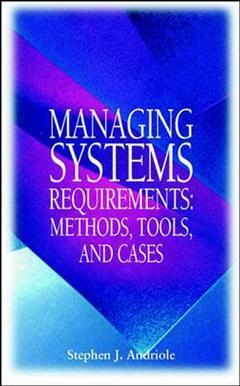 This book gets down to brass tacks with practical methods, real life case studies and commercial software tools.